Since long I wanted to do inverse quilling but was not able to get my hands on. This time for the rose challenge I thought to try it. 1. Take the printout of the rose. 2. Traced it on the card and cut it out. 3. 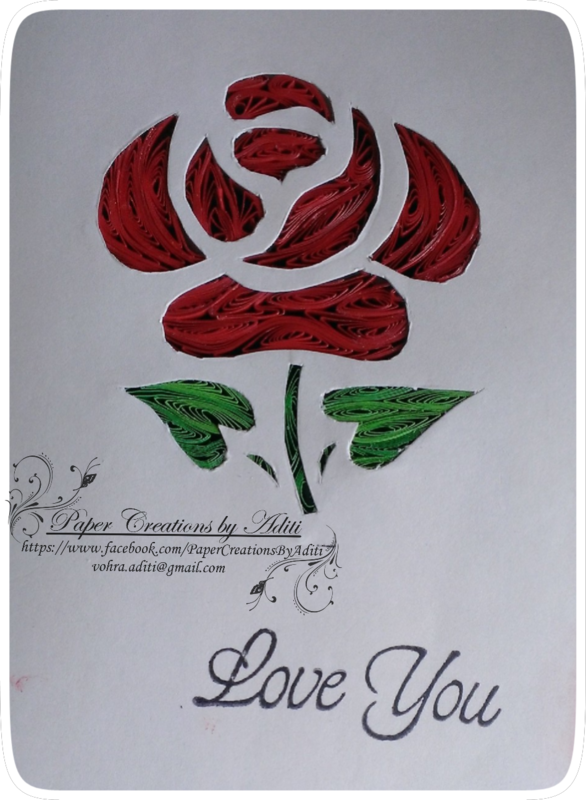 Make the quilled elements and glue it on the back side of the cutout. 4. Take a plain card stock and stick on the quilled elements to cover those. I hope you will try this technique. If you have any questions then do message me.